You can also use your homemade Shake N Bake to coat chicken. Cook chicken in a 400 degree oven. Bone-in Shake N Bake chicken will take 35-40 minutes. Boneless Shake N Bake chicken will take 15-20 minutes. If you loved this homemade Shake N Bake I would appreciate it so much if you would give this recipe a star review!... You can also use your homemade Shake N Bake to coat chicken. Cook chicken in a 400 degree oven. Bone-in Shake N Bake chicken will take 35-40 minutes. Boneless Shake N Bake chicken will take 15-20 minutes. If you loved this homemade Shake N Bake I would appreciate it so much if you would give this recipe a star review! It’s so easy to make homemade Shake ‘N’ Bake from scratch with this copycat recipe. If you have pork chops, or chicken on hand, and some dried breadcrumbs you already have most everything you need to make homemade Shake ‘N’ Bake.... 29/08/2013 · everytime I make shake n' bake with Chicken that has bone in, I bake it for 45 minutes but it burns the top, sends hot drippings spitting all around, and has a lot of smoke... yes at 400 for 45 minutes, on a cooling rack on a pan, tried with or without foil, same result. Easy shake and bake chicken - allrecipes.com recipe. Learn how to cook great Easy shake and bake chicken - allrecipes.com . Crecipe.com deliver fine selection of quality Easy shake and bake chicken - allrecipes.com recipes equipped with ratings, reviews and mixing tips. Shake N' Bake Mustard Pickle Chicken is healthy, easy to prep, and sure to be a staple in your home. Add it to your meal prep and enjoy healthy eating! Add it to your meal prep and enjoy healthy eating! I’ve been making these Shake N Bake Chicken Tenders for a while now and I realized I haven’t had the chance to share the recipe! This was on my menu during yesterday’s Sunday meal prep because I needed something that I can quickly throw together and cook in the oven. 9/12/2005 · Shake chicken pieces, 1 - 2 piece at a time, in mixture. 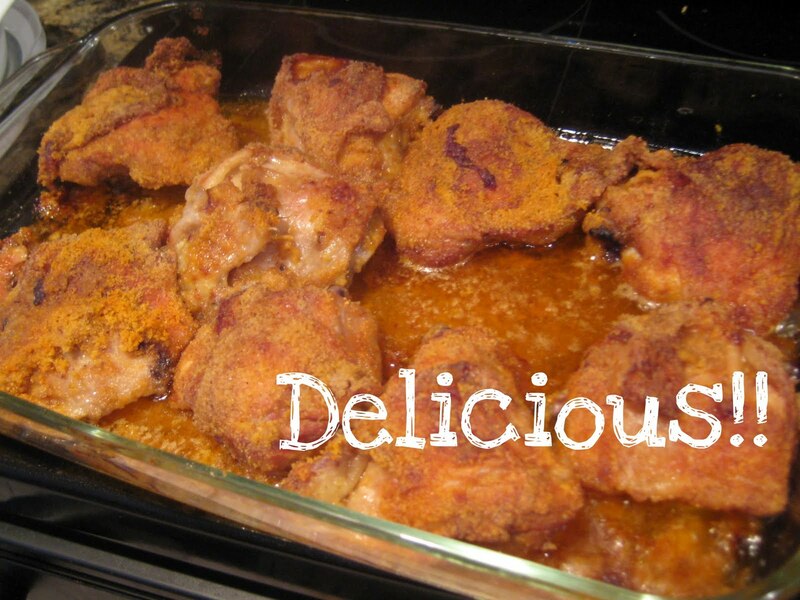 Place coated chicken on an ungreased baking sheet. Bake chicken in a 400 degree oven until juices run clear, about 20 minutes for boneless chicken and 45 minutes for bone-in chicken.